Wu (Hao) Style Taijiquan is one of the five acknowledged styles of Taijiquan (also commonly known as Tai Chi) in China. However, it is rarely taught and little known. Even today, it is only practised by a small number of people. Having been taught sparingly, its purity has remained unadulterated. Wu Taijiquan has remained an enigma for so long because of the traditional modesty of its masters who have chosen their students carefully and guarded their knowledge, sharing with only a select group of practitioners. For many years, Wu Style Taqijiquan was only practised and taught within the family. Very few people outside the family could learn the style until the third generation Master Hao Wei Zhen (1849-1920) started to teach a chosen few outsiders. Since then, Wu Style (sometimes referred to as Hao Style) has been practiced only in Yong Nian, Xing Tai and Beijing in northern China and later Shanghai in the south. 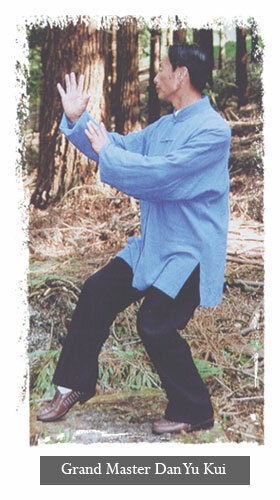 In 1992, Wu Taijiquan was introduced to enthusiasts in the UK by Master Dan Li Jun 6th Generation. This group now make up the Wu Style Taiji Federation UK linked with the Xing Tai Wu Style Federation P.R. China.